Robert De Niro as Travis Bickle in Taxi Driver movie. Travis Bickle is the name of the character played by Robert de Niro in the film Taxi Driver (1976). Bickle is a former marine who served honorably in the Vietnam War. He does not have many friends, and he suffers from a bad case of insomnia. Therefore, he takes a job as a night shift cabbie in a bad neighborhood. He becomes a vigilante bent on saving a twelve year old prostitute. However, here, we are interested in looking at the Travis Bickle mohawk haircut. The Bickle Mohawk has the sides of the head shaved completely. The hair in the back of the stripe is cut very short. As the hair fades toward the front of the head it gets progressively longer, reaching a length of about two inches above the forehead. Travis Bickle with mohawk hair and aviator sunglasses. Wax was used to provide the hold needed to make the hair stand on end. There were no spikes or anything fancy, just the hair standing up in an abbreviated fan. 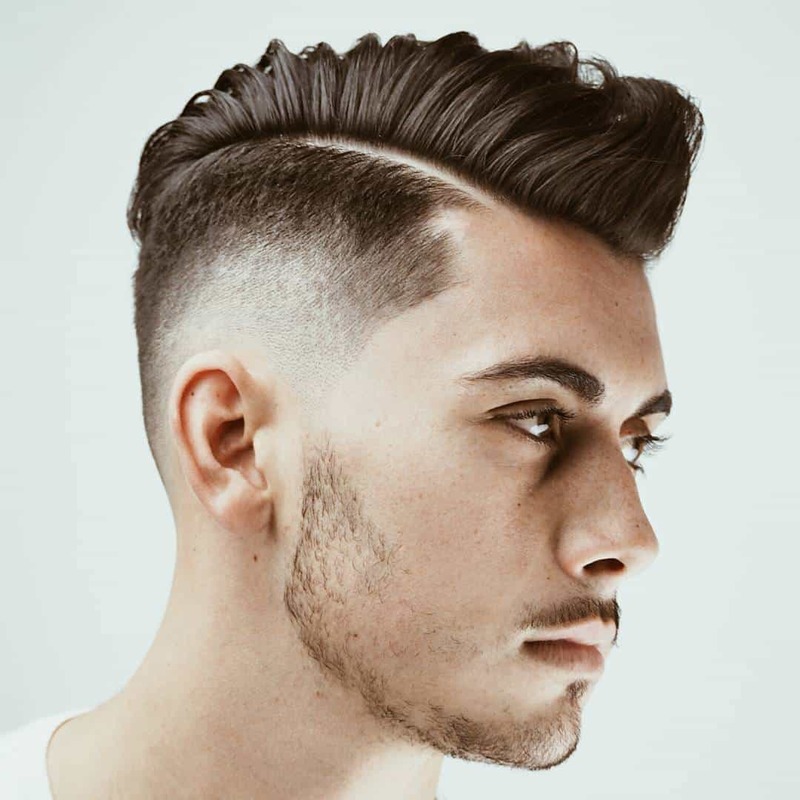 When viewed from the side, The strip of hair looked similar to the profile of a flat top, a short hairstyle that Bickle might have worn while in the military. This is very different from the average style of Mohawk. Most people have the remaining hair cut to a uniform length from the front to the back. Some wear it longer and styled into a fan or into liberty spikes. Others wear it shorter, more like the length of the hair in back. 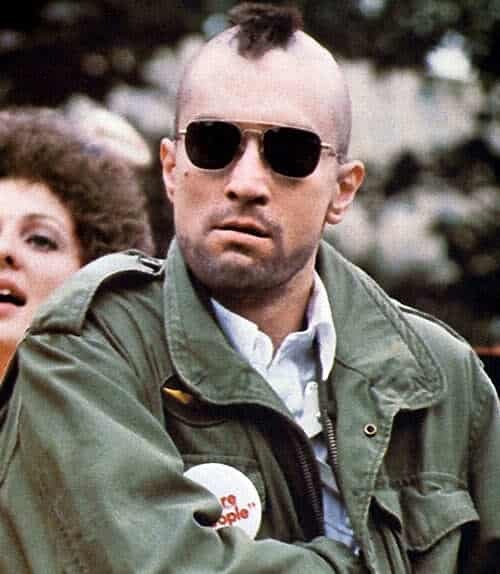 However, the Travis Bickle Mohawk haircut has earned its place in history, partially due to the actions of the character in the movie.